Due to their immense size, and the number of passengers they transport, buses must be operated with the highest level of safety in mind. If you have been injured in a Florida bus accident, you deserve fair compensation for your injuries. Here, our Tampa Bay bus accident lawyers answer some of the most frequently asked bus accident questions. According to data collected and published by the Federal Motor Carrier Safety Administration (FMCSA), hundreds of innocent people are killed in bus crashes each year, while many thousands more suffer serious, sometimes life-changing, injuries. Florida is no exception to this general public safety problem. Indeed, the Florida Department of Highway Safety and Motor Vehicles reports that, in 2015 alone, more than 27,000 passengers were riding on buses that crashed. While many of these accidents were relatively minor, sadly, others were not. These statistics show that 1,100 of the passengers injured in bus accidents in Florida sustained serious injuries. Is the Bus Company Liable for My Injuries? The value of your Tampa bus accident claim will depend entirely on the amount of damage that you sustained. In Florida, most legal damages are meant to compensate the victim for their tangible losses. As such, injured victims must prove their losses in order to seek financial relief. To be clear, compensable losses do not have to be economic in nature; while you can recover for your medical bills and lost wages, you may also be able to recover for pain, suffering, and mental anguish. Can I Sue a City Bus? Yes, injured victims can take action against government buses. For example, if a Hillsborough Area Regional Transit (HART) bus caused your injuries, you can hold the operator liable for your losses. However, different legal rules do apply when it comes to public buses. Generally, you need to take legal action much more quickly. If you were injured in a crash with a public bus, please get your case in the hands of a qualified attorney as soon as possible. If you were hurt in a bus crash, the best time to take action is now. 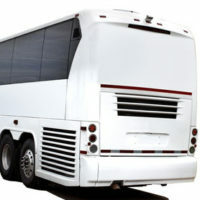 Evidence in bus accident cases can begin to deteriorate or disappear, quickly. The right attorney can gather, preserve, and secure this much needed evidence. At Pawlowski//Mastrilli Law Group, our experienced bus accident lawyers are standing by, ready to help you. To request your free initial legal consultation, please call us today at (813) 242-4404. We serve communities throughout West Central Florida, including in Hillsborough County, Pasco County and Pinellas County.